Returns to Bonded Warehouse on Saturday night, 16th February. This is a live Soul experience, from the very top drawer..! See this full Gospel Choir taking the roof off Bonded Warehouse for this special, up-tempo soulful performance. We can guarantee that this will be a Saturday night out that you and all your friends will never forget! Doors to the show are open from 7pm Tom Caulker, the World Headquarters Club resident DJ, will be providing the music either side of the Choir, who will take the stage around 8.15. Back in June '18, iconic North East nightclub World Headquarters was invited to create a brand new, amazing, live classic soul revue, featuring Motown & Soul hits of the 60s & 70s, as a headline event for The Great Exhibition of the North celebrations at the Sage Gateshead. 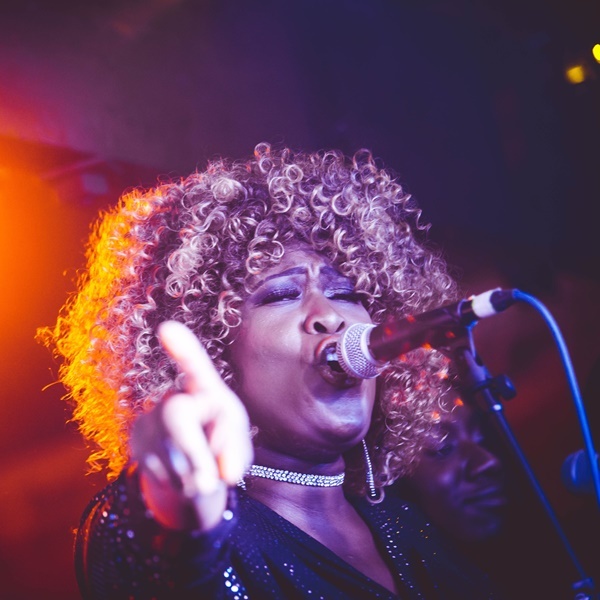 Their special guests, the 'Voices of Virtue Gospel Choir' with full band and horn section, performed alongside WHQ's DJ Tom Caulker, for an evening of the 100%, high octane, blistering, classic soul anthems everyone knows and loves. This show was more than just a bit special and sold out the Sage to rave reviews & then also at Bonded Warehouse when we bought it here back in December. Get ready for the night of your life... x. On stage times are a guide & even as hard as we try, they may vary slightly (in the unlikely event crazy stuff happens unexpectedly on the night). Due to our contract with the Choir’s management, tickets can only be refunded if the show sell out & we have people waiting on the returns list, that she can sell any unrequired tickets onto. Please send any queries to her prior to show day. This is a standing / dancing event. Please notify us if this causes you any issues, prior to the day of the event.